Nearly all 21st century businesses require printing capabilities, but it doesn’t have to be as time-consuming or expensive as you might think. Managed print services are designed to take the extra legwork out of this office task, so you can focus on your customers and core business. Did you know that on average, printing costs can comprise up to 10% of a business’ revenue? You probably want those dollars going toward growing your business instead of unnecessary print jobs. 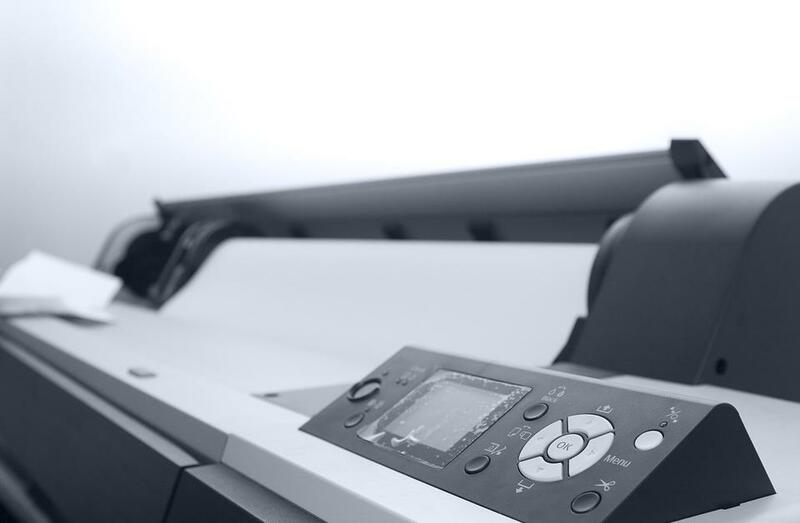 Printers and copiers are expensive, but managed print services can help you keep both your costs and workflow in check. A print management system not only monitors your fleet, but it collects data over time to identify bottlenecks and help improve your productivity. It’ll delete duplicate print jobs, manage supplies, and Identify opportunities to eliminate underused equipment, if necessary. Real-time monitoring also means that your printers can prevent and fix problems before they interrupt your workflow. And, if your printers do go offline, our technicians will be there within four hours to get the fleet back up and running. With a printer that consolidates and streamlines print activity, you’ll also be able to minimize your business’ environmental impact by cutting down on resource consumption in the office. By eliminating unnecessary print jobs, you can conserve paper and ink, so it doesn’t go to waste. Plus, when your printer notifies you that ink is low, we’ll ship your cartridges out for proper recycling. Printing can be expensive when done inefficiently. Luckily, managed print services do all the work for you, so you can sit back and watch your bottom line grow. Consolidating print jobs and reducing paper consumption are just a few of the many ways you can cut printing costs with managed print services. One of our favorite features is setting a monthly printing budget for each machine, so you don’t get a surprise at the end of the month. Investing in managed print services today means improved productivity and fewer unexpected costs down the road. When your office needs a workflow upgrade, turn to Pacific Office Automation for smart, effective solutions. Contact us today for a free workflow analysis that’ll help get your printing back on track.